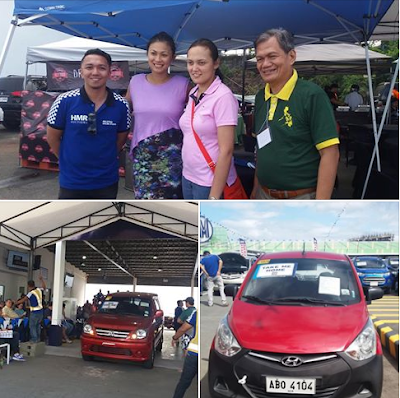 Earlier today, HMR hosted another successful Auto Auction at HMR Sucat. 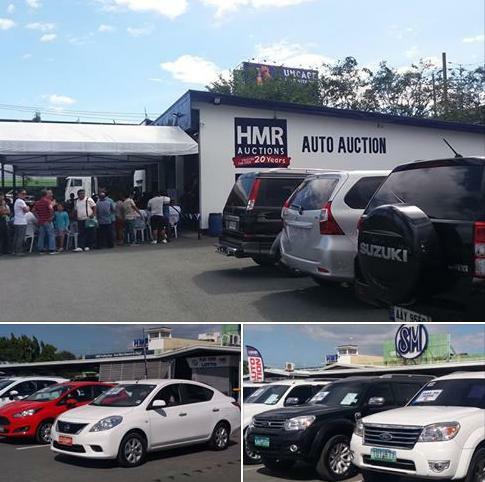 The HMR Auto Auction facility along East Service Road in Sucat is the only purpose-built facility for the live public auction of vehicles. HMR Auto Auction provides comprehensive auction, valuation, and logistics services. As the Philippines' largest full-service auction and Valuation Company, it offers great prices on a mix of premium brand models, making it a go-to auction place for people finding reliable rides. Car enthusiasts gathered to see a large selection of over 280 vehicles ready for auction. Some even came in as early as 10AM in the morning to beat the crowds, and started look for the cars they want. Over 250 registered bidders participated in this one-day live public bidding. While most public auctions sell on visual inspection alone, HMR Auto Auction takes the experience one notch higher by allowing them to look at everything. The people who headed down to the live auction gawked and bidded for the cars. Everything is as good as it looks. During the event, every vehicle is driven through the auction lane, enablingboth the public buyers and dealers to see, hear and feel the car in action as the auction goes. At auction, people are actually buying a car at sizeable savings. Buying a car at auction is a simple way of saving a lot of money and best for those private buyers and traders on the lookout for cheap cars. Do watch out next month as HMR Auto Auction will have 200 motorcycles, cars and trucks up for bidding on March 4 and another 250 car units lined up for March 18. Log on to www.hmrauctions.com.ph or call (02) 548-6962 for inquiries. Ang daming car lovers! 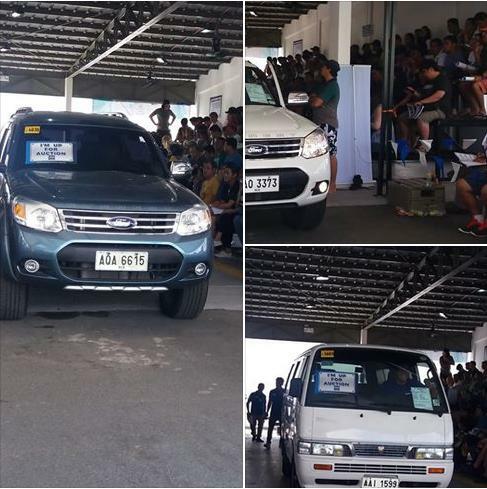 I bet one of Top Gear Philippines' staff's also there in that event. This is good info. I thought they onlg do car auctions in Subic. This one is alot closer. Wow. I didn't know that they have auto auctions too. Meron pa sana we're planning to purchase a bigger vehicle but I don't want to go for brand new muna because mas prefer namin cash. Wow! Kudos to HMR for stepping up its game! Aside from joining the auction as a buyer, how do we sell? Wow HMR does auto auctions na pala. I didn't know they auction cars. Wish my dad can come for their next one as he had been wanting to get a car. I wonder if they are also having one here in Cebu! I missed this event. I was invited by Mafae Belasco but the date was conflict with my schedule. The auctioned cars looks pretty cool! I haven't tried going to a car auction. It must be nice of you're looking into buying a car. Oh, they have auto auctions pala. I wonder how much savings you can get versus buying from car companies. Oooh I wasn't aware that there are auto auctions available here. This HMR is just near our place and I didn't even know what they do! I should check out the next auction as hubby plans to buy a car. I'll bring him there next time. The thing about auctions is that there could be a possibility that the prices could go higher than your budget bec someone else is bidding for the car you want. But something to look at. I haven't tried any product auctions. I'm sure car enthusiasts who likes to bid will be interested to attend here. I have never been to an auction, except for those held on ebay! I am sure connoisseurs and enthusiasts will find this event most interesting. Hopefully they will hold more events like this so more people can join in. Do you think buying cars this way is more economical? Never tried car auctions before and I worry I might not get the best value out of the money I'm shelling out. Thoughts? Salamat! I would love to go there, it is always my dream to own a car hehehe. Thanks for sharing! There are NO HIDDEN CHARGES on the auto transport quotes and you shall even compare the rates with other competitor companies to see if the rates are reasonable to your needs. I see that here are many choices on your blog for buy a new car at cheap price. I think buying a car is always a big responsibility. But Rolls Royce Exporter making easy that choice on where to buy your car is a huge decision that needs to be thought carefully. Your car buying tips provide the ready the best advice when you want to buy new car. A top site that is self import car to Singapore will tell you how you can save yourself a bundle of money on your next car by following these simple car buying tips.